With its large-diameter 29-inch wheels and progressive trail geometry, the new Giant Trance 29 delivers versatile performance. 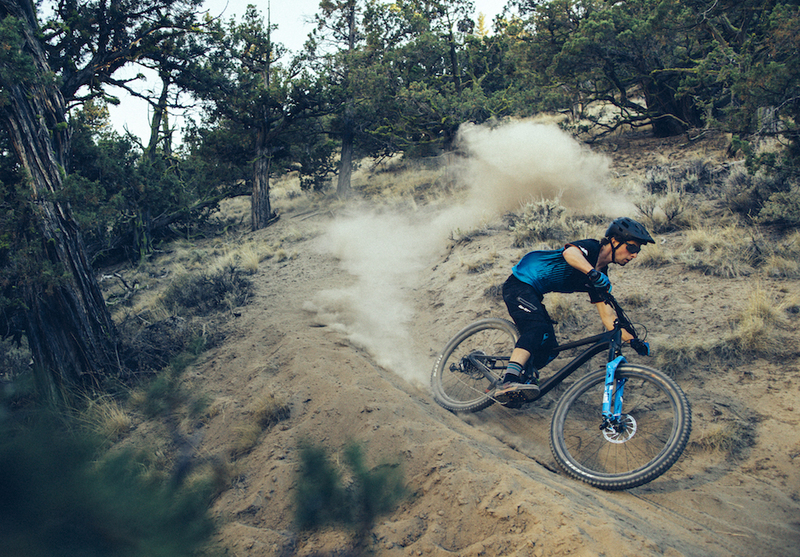 Giant Bicycles launched the all-new line of Trance 29ers to its 2019 lineup of full-suspension trail bikes. With over two years of testing and development, the new Trance 29 range applies the latest engineering and technologies from Giant. 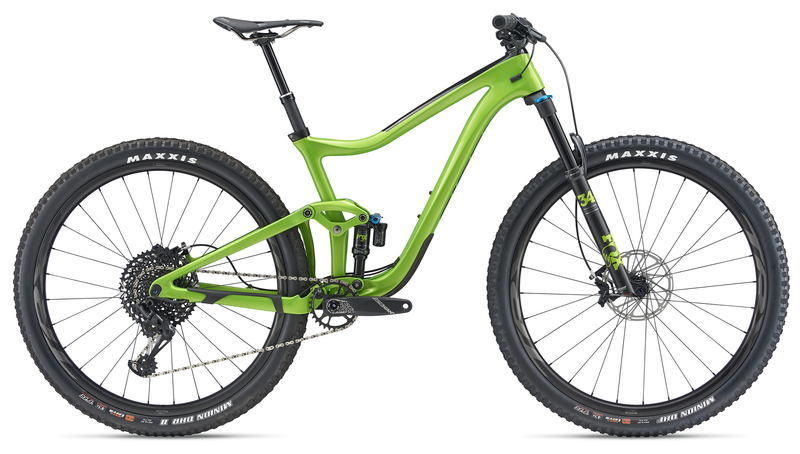 The new Trance 29 with progressive trail geometry, next-generation Maestro Suspension, and lighter frame construction, said to deliver speed, stability, and control on the trail. Designed for all-around trail riding, ranging from daily singletrack shredding to all-day epics or enduro competition, the 2019 Trance 29 range is engineered with all-new 29er-specific geometry and critical updates to its Maestro Suspension system. The new Trance 29er range includes two different series with a super light full Advanced Composite frame series and a new ALUXX SL aluminum frame series. Both are engineered with 115mm of the rear suspension and 130mm up front, striving to give the bike confidence and control. All the new Trance 29 models feature Boost hub spacing, added tire clearance, and feature Giant Tubeless System technology. Each of the models in the new Trance 29 range features updated Maestro suspension systems with Advanced Forged Composite rocker arms and trunnion-mount shock setups. 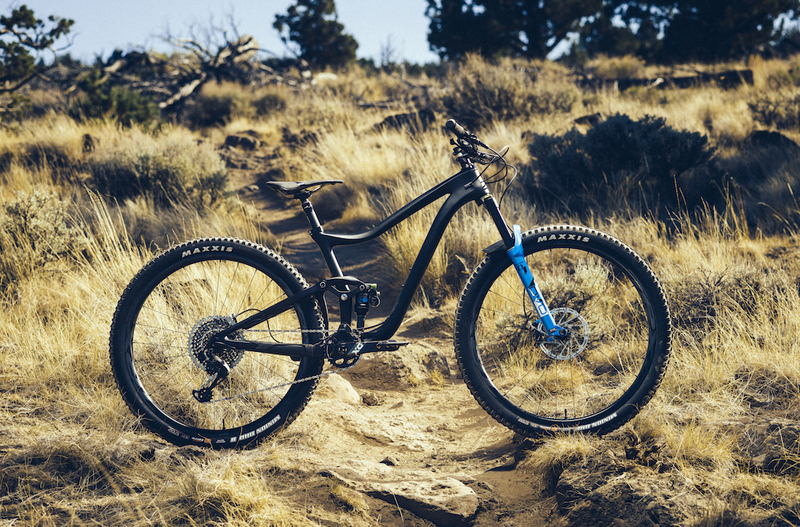 The new Trance 29 with progressive trail geometry, next-generation Maestro Suspension, and lighter frame construction, said to deliver speed, stability, and control on the trail. The new frame’s shorter chainstays (435mm) keep the 29-inch rear wheel tucked tightly beneath the rider, which makes the bike feel quicker, especially on climbs and tight singletrack. After several phases of testing and development, engineers settled on a 66.5-degree headtube angle and 74.5-degree seat tube angle. Said to give the Trance a balance of responsiveness and stability on the trail. 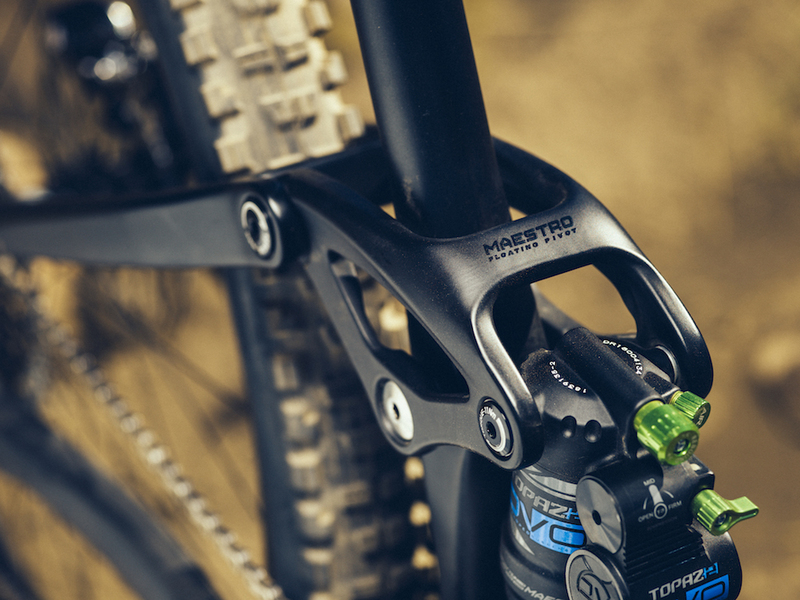 The updated Maestro Suspension system includes a new trunnion mount shock, which produces a lower shock leverage ratio for improved pedaling and braking efficiency. The rear suspension soars with new Advanced Forged Composite upper rocker arm, which is claimed to be lighter, stiffer and stronger than the prior aluminum version. 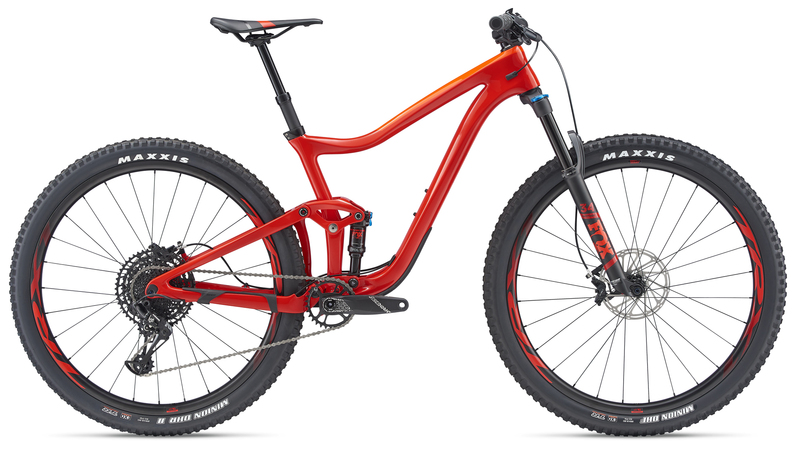 The 2019 Trance 29 2 features Fox suspension components and a SRAM 1×12 drivetrain. It comes set up with a Giant Contact Switch dropper seatpost and remote lever. Availability varies by country. Craig worked with the development team, testing various iterations of the Trance 29 on a variety of terrain. The retired racer has as much experience as anyone with Giant XC and trail bikes, having competed at the top level on Maestro suspension bikes for more than a decade. 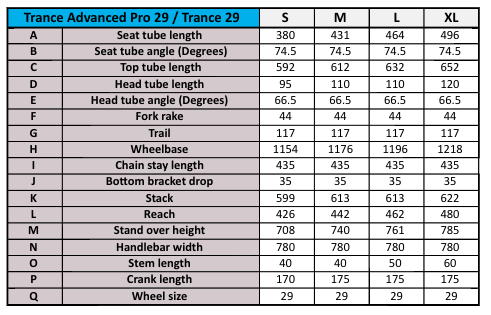 The 2019 Trance Advanced Pro 29 1 features a Fox Float DPX2 Performance rear shock and Fox 34 Float Performance 130mm fork, along with the Giant TRX 1 29 WheelSystem set up with tubeless tires. Availability varies by country. The flagship series of the new Trance 29 range is engineered with a full Advanced Composite technology frameset including the mainframe and rear swingarm. Aimed at serious trail riders and racers who want one bike to do it all, it’s the lightest mid-travel 29er frame ever from Giant. It features the most current Maestro suspension with an Advanced Forged composite rocker arm and trunnion-mount shock for 115mm of rear travel that’s active and sensitive to small bumps. The frame geometry is all new, with progressive headtube and seat tube angles, shorter chainstays and a longer top tube. The flagship Trance Advanced Pro 29 0 model features custom-tuned DVO front and rear suspension. Adam Craig: Giant ambassador Adam Craig helped develop and test the new Trance 29 range, working with the engineering and design team. This series features all the same suspension updates and new, 29er-specific trail geometry as the Trance Advanced Pro 29 series. The critical difference is this one, built with an ALUXX SL aluminum front triangle and rear swingarm. I don’t get why they didn’t go with an Anthem X for this bike. OR figured out how to get more travel. A trance without more rear travel just isn’t a trance. And coming back to trail 29ers with such a low travel number just makes it seem like there is something inherently incompatible with Maestro and long travel 29er geometry. (of which it seems really odd that someone couldn’t find some kind of work around after all these years…???) Anyway, no doubt it’s a good bike. Just doesn’t make sense the way it’s been brought to market to me. This is exactly what everyone wants to know…. it sounds like a HUGE FAIL for a trance AM/Trail bike to be anything less the 125mm rear like the first generations Trances!!! WTF Giant Get with the program or prove a 115mm rear acts like a 150mm!!!! And also… bout flippin time with steeper seat post angles I see the newest Liv bike also runs a 74.5. Again, just don’t understand who’s making decisions at Giant. They should have had SA this steep like 4 years ago… I remember the last Reign refresh and Giant’s response was that their racers preferred the slacker seat post angle. First, probably BS. Probably they just didn’t want to invest in new frame molds? Second, if not BS; WHY would you let a hand full of racers who get frames/bike for free go against the overwhelming majority of riders who pay money to buy your bikes/frames. I used to be a die hard Giant fan. But they just aren’t making the decisions/product that gets me to spend my money their way..
You’re a day late and a dollar short Giant, 27.5 is the ideal tire size right? After demoing this bike 3 times, I ordered the new Trance Advanced 29 0 build! The bike is SO versatile… so good at everything! It climbs, It pedals, it plays, and its definitely capable on the decent! Hopped on my shop’s demo Advanced 2 model and I’m sold. Descends with more confidence than my 160mm 27.5″ bike.” Lighter overall weight and faster on pedal sections too!